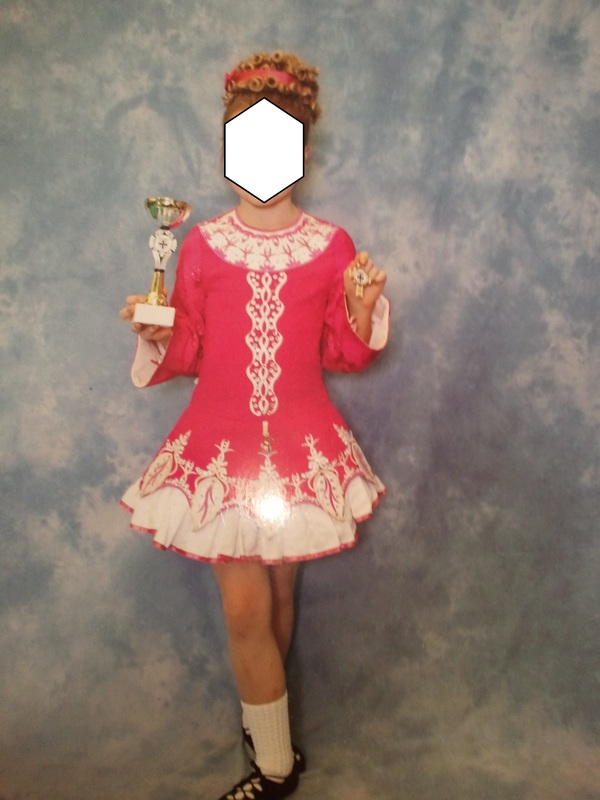 Striking Siopa Rince hot pink and white championship winning dress worn by slender girl . Made for a taller than average 7 year old originally. Much admired by all girls due to the colors. 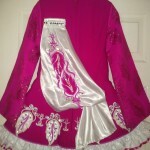 A leaf design on the skirt, cape and sleeves. 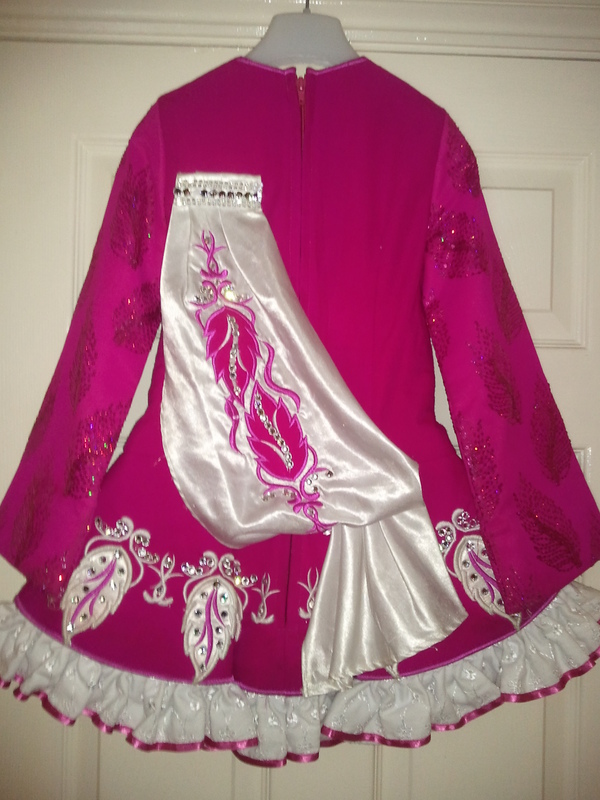 A white satin “collar” with constrasting pink embroidery. Now the “catch” with this dress is that the crystals on the sleeves pilled/bobbed the bodice material. This is not noticeable from a distance of 3 feet but the dress is priced to reflect this wear. Nor has the bobbing gotten any worse since the dress was 1st worn after it was made. The skirt lining has been replaced and the white lace underskirt has been removed and cleaned to restore the dress to it’s original glory. Photos of lining and “bobbing” are available. Just ask. 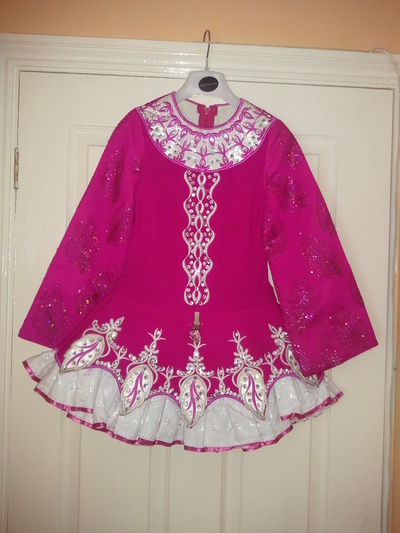 This is a fantastic, standout, well made dress that will get your dancer noticed at a great price. A simple hair band is included. Knickers are not. Chest and waist measurements were taken while the dress was worn. Asking Price: £190. Shipping costs are not included in the asking price. Will accept returns and refund the cost of the dress, buyer to pay all shipping costs.